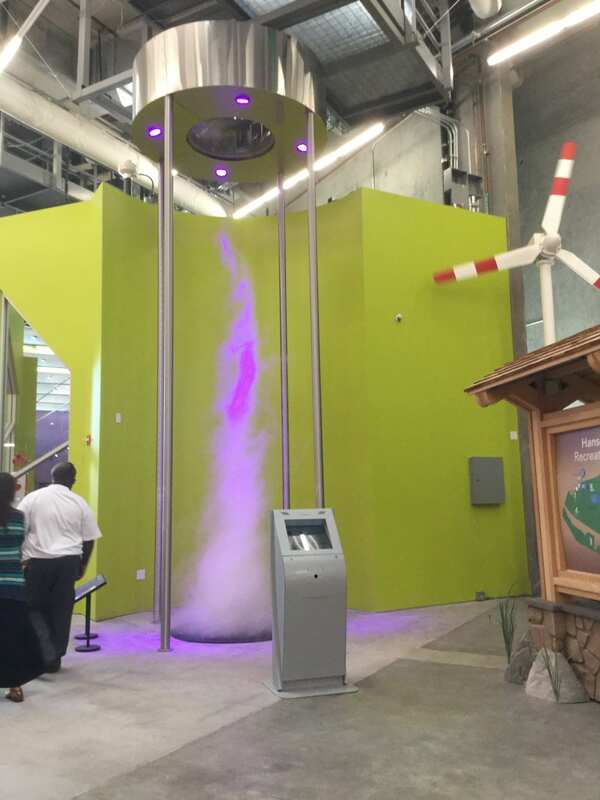 when the Discovery Science Cube clients asked for a tornado, they ran into a wall – no one they could find would take the job of producing a 7′ diameter, 20′ high tornado within the schedule that they had set for the expansion at the Hansen Dam property, just north of Los Angeles. Mad came up with a solution that would not only provide what they wanted, but with some additional effort, avoided having the usual platform to hide the equipment required at the tornado’s base and put all that into a pit, so that the bottom of the tornado would be a flat floor rather than require a ramp leading up to it for ADA purposes. 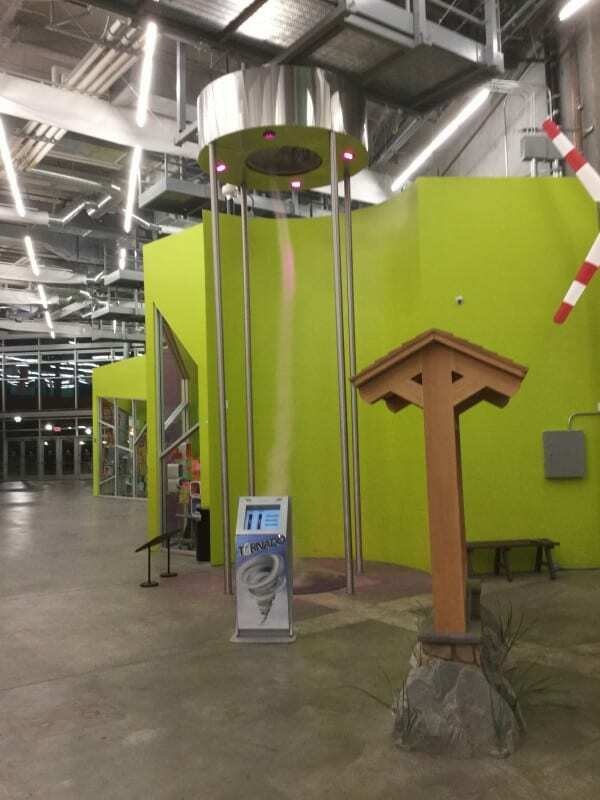 Mad designed, manufactured and installed the stainless steel tornado, and also developed a touch screen interface where visitors can manipulate the depth of the low pressure area overhead, the velocity of the shear winds required to produce the necessary rotation of the air column, and even the color of the overhead lights that illuminate the tornado. Kids love to play in the fog – and since it’s a water only based solution, and the pit can be kept clean and safe, there is no reason not to allow them to have fun playing with this tornado.